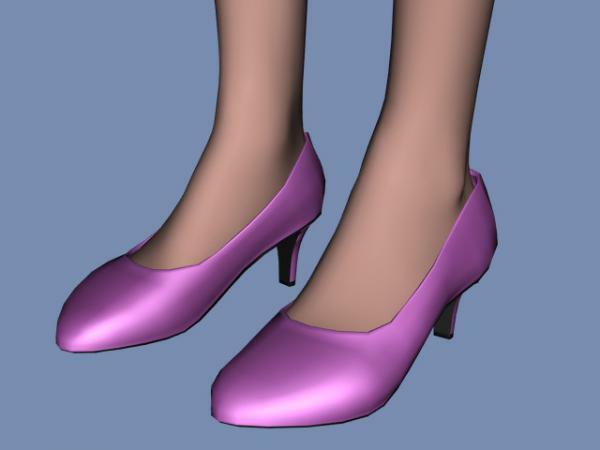 The package contains a pair of conforming pumps for Aiko3 and Aiko3 LE, the template for making textures, and a sample texture. It was created with Blender 3D, DAZ Studio, GIMP and Notepad++. It works in DAZ Studio 3 and above, and it should work in Poser 5 and above. It is tested in DAZ Studio 4.5.1.56 (Windows). Please bend Aiko's feet to 18 and toes to -14 for the best result. stronghands07 (6 years ago) Inappropriate? Thanks Amy, for continuing to make such great stuff for my favorite model. I've used these already, and I love them! Thank you for sharing your work and thank you for the support of Aiko 3! Vilian (6 years ago) Inappropriate?